Let me set up your guitar to play the best it possibly can! An electric guitar is a precision instrument. To get the best from your guitar or bass and from yourself as a player it is important that your instrument is set up to suit your playing style and your preferences. But whether or not you require a low action or not (and most players do) it is essential that your frets are level and smooth and your guitar is maintained to the highest possible standard. My name is Steve Robinson and I have been building and repairing electric guitars for over 20 years. 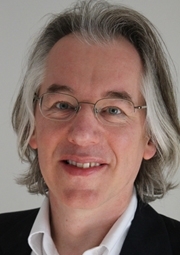 I offer my service to musicians of Northwest England and beyond at very reasonable prices. For details of the services I offer, please use the menu to the left. If you’d like to call me to discuss any work, please do so. I provide a repair and maintenance service to guitarists and bass guitarists. My setups are second to none and I have received some wonderful testimonials. Although many customers find me through this site, a large proportion of my work comes from repeat business and word-of-mouth recommendations. 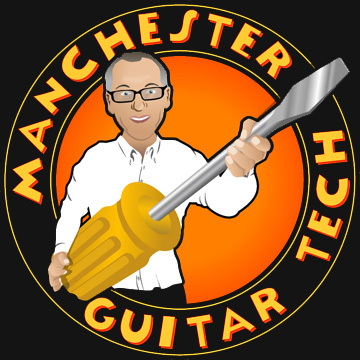 Although I am Manchester Guitar Tech, I have customers from several European countries and have worked for and given advice to guitarists around the world. I work from my home workshop in Sale. Details on my contact page. I called you sometime ago re wiring up my emg dg20 pickups to a fender mid boost kit, dunno if you remember? Anyhow, I’ve got the cash now for it! Yippee! Thing is, the stray body I have in mind for it doesn’t have the required space to fit the circuit board/ battery etc in it. I thought I may get away with it as I’ve got another strat in which I managed to cram it all in the pit cavity – I’m dead sure that this body ( an mjt relic from the states ) won’t have it. With that in mind, I wondered can you do the appropriate routing? As in like the routing on the fender USA Clapton signature bodies? Ps – I also have a neck I’d like to get ‘reliced’ – it’s a fender 60’s classic player neck from a strat , can you do that? I just wanted to say, a huge thank you to you for your work and patience with my ESP Mummy guitar project. For those reading this….Steve has been a pleasure to deal with and has been extremely patient with me and my artist while we have had a custom artwork painted onto my ESP guitar. On completion, Steve has done an amazing job at rebuilding the guitar and the set up is faultless. It plays like a dream now. Steve is extremely polite and well priced for his fantastic work. I would have no hesitation whatsoever in recommending Steve for any work at all and he will be the only tech that will ever touch my guitars again. Thank you Steve, see you soon for more work on the other guitars! Hi….Steve, Firstly your repairs featured on you website are amazing !!!! Your a truly talented man…. Once I’ve got my funds in order I’ll be booking my epiphone les Paul in for a pickup upgrade as well as the switches and whatever you think needs replacing or adjusting ….. Hope to see you in the near future cheers :-) !!! my guitar. Price was fantastic, would have no hesitation recommending Steve. Great guy. Hey Steve… Thank you so much for the great work you did on my Les Paul today! … I finally just spent some time playing the damn thing instead of constantly tweaking the truss rod etc in a futile attempt get rid of the buzz!! She plays beautifully now, no buzz, no tuning issues, and I am one very happy customer!